Eagles Glen is a very small group of large attached-homes, 10 duplexes, on one-half acre (one-quarter each). On the golf course called the Ravens at Eagles Nest are the Eagles Glen homes that enjoy all the amenities of the neighborhood as well as the pleasure of being golf course living. 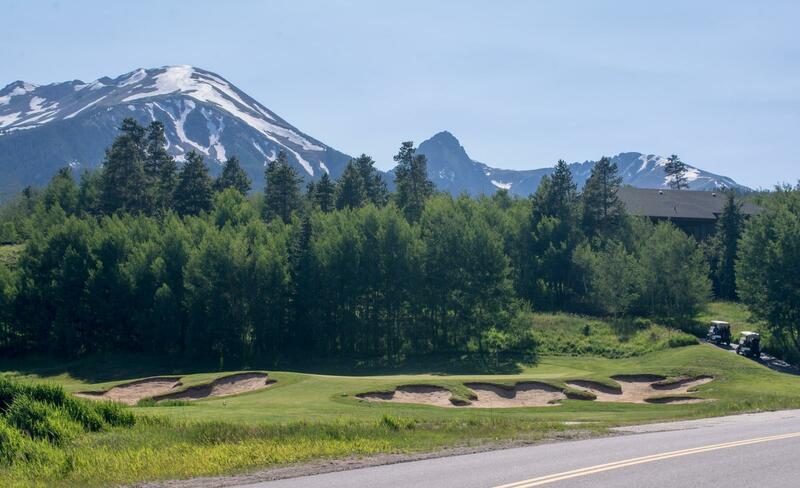 The Gore Range is in view from Buffalo Mountain to the sharp peaks of the Eagles Nest Wilderness area from the open, rolling hills of the single-family home neighborhoods that surround this and a few other small single-family clusters like Eagles Glen. In addition to golf at the Ravens Golf Club at Eagles Nest - or generally called Eagles Nest -- this neighborhood enjoys the amenities of the clubhouse, and cross-country ski trails in the winter. A wilderness area of the same name lies close by, to the west, and climbs up and over the Gore Range. Trailheads can be found nearby. The Blue River is just across the highway, and a bike path runs along it into town, and connects to those the criss-cross Summit County. Square Footage: 2,674 to 3,447 sq. ft.
From I-70 drive north about 2.5 miles through Silverthorne to Golden Eagle Drive. Take a right on Golden Eagle, then take the second right onto Peregrine Lane, and quickly left onto Glen Place where you will find any Eagles Glen home for sale.